The visit by the head of the Saudi intelligence agency Bandar bin Sultan to Russia in August is not just a sign that Riyadh is on the verge of total defeat in Syria, but also the fact that Russia will make the House of Saud pay dearly for causing havoc in the North Caucasus. 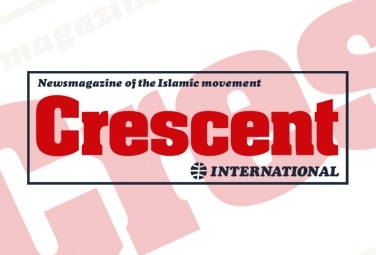 In our evaluation of Russian relations with Muslim countries (see “Russian Policy in the near abroad,” CI, March 2013), we have maintained that Moscow’s primary policies on Islam and Muslims can be divided into two broad categories: 1) Muslims and Islam within the Russian borders and, 2) Muslims and Islam in the countries of the former Soviet Union. Relations with Muslims in other parts of the world are at least partly derived from these two main classifications. For Muslims, it is, therefore, necessary to study Moscow’s relations with Muslim countries by examining the power play of the Russian state and Muslims within Russia. While other primarily Western corporate media outlets focused on studying Bandar’s visit to Moscow only by discussing the Saudi regime’s mistaken policies in Syria, Bahrain and Egypt, the North Caucasus aspect of the Saudi-Russian relations has been almost completely ignored. It appears that the pesky son of a concubine of Prince Sultan overlooked this matter as well. 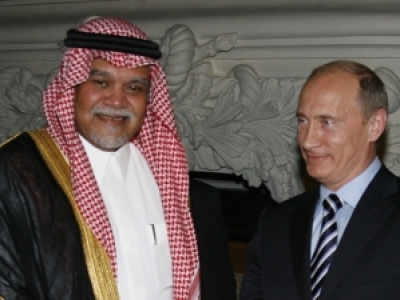 Leaked reports that were certainly done with Kremlin’s consent indicate that Bandar and Putin focused mainly on discussing how Russia can aid the Saudi regime to limit the damage from its atrocious policies in Syria and Egypt. It is highly unlikely that Russia would sell out Syria at this point. Syrian government forces are currently winning the military and political proxy war in Syria. Also taking into account that the takfiri armed groups that have flooded into the North Caucasus and are fighting against Moscow are also actively participating in the US proxy war against Syria, it would be an act of extreme stupidity for Moscow to back the forces it is battling within Russia to overthrow the Syrian government and establish themselves in Syria. 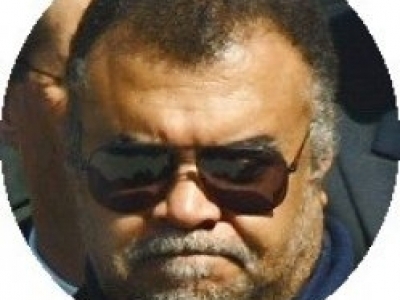 What is likely to take place after Bandar’s trip to Moscow is serious discussion by the Russian political and intelligence establishment on how to settle scores with the Saudi regime due to its indirect ideological, financial and military support for takfiri groups in the North Caucasus. After the takfiri groups hijacked the Chechen pro-independence struggle in 1999, the Saudi regime actively began facilitating indirect forms of support for these groups in the North Caucasus at the behest of Washington. Between 1999 and 2001 Saudi court “scholars” have been issuing “fatwas” and encouraging Arabian fighters to participate in the war against Russia. In 1998 the US was exerting pressure on Geidar Aliyev who usurped power in Azerbaijan to accept the US-proposed oil pipeline from the Caspian Sea to Turkey, bypassing Russia. The motive was designed to eliminate the existing oil route through Russia. The Baku-Novorossiysk pipeline was severely damaged during the 1999 military activities in Dagestan that were initiated by the Saudi-backed factions based in Chechnya. The American project succeeded; today the Baku-Ceyhan pipeline pumps oil out of the Caspian bypassing Russia. Between 2000 and 2001 the “independent” Saudi scholars made sure that armed factions under the control of Arabian fighters would receive most of the financial donations from the Muslim East in order to firmly establish the US-Saudi manipulated takfiri trend in the North Caucasus. After 9/11 the Saudi court “scholars” significantly scaled down their support for the takfiri groups in the North Caucasus, but some never completely abandoned their ideological and financial support to this day. This minimal support is ongoing with the consent of the Saudi regime. Until the recent developments in Syria, the Russian military and intelligence establishment had minimal leverage against the Saudi regime. Saudi miscalculations on Syria and now Bandar’s beggar-like trip to Moscow will certainly increase Russia’s appetite to settle outstanding scores with Riyadh. Soviet-rooted mentality of the Russian military and intelligence apparatus will call for getting even with the Saudis. Today Saudi leverage against Russia is significantly weaker than in the 1990s as the takfiri insurgency has only limited popular support in the North Caucasus. In Syria the Saudis are clearly losing and demand for Saudi oil is also decreasing, as was publicly acknowledged by Prince al-Waleed bin Talal in May. At the moment Riyadh lacks adequate leverage to challenge Russian moves if Moscow decides to pursue the revenge/pressure policy against the Saudis. Moscow certainly has security, political and economic motives to exploit Saudi weaknesses as admitted in the Bandar visit. Moscow is still battling the takfiri insurgency in the North Caucasus; Syria has become the symbol of Russian comeback in the international arena and Saudi oil is an economic obstacle for Russian energy exports to Western Europe. The son of a concubine might soon realize that his trip to Moscow provided Russia with an opportunity they were waiting for since 1999.